I've walked by the Second Tyme Around thrift shop in downtown Downey many times, mostly at night. (Click here to see previous shots of the store window displays.) So in all these years, I've never been inside, until last weekend. 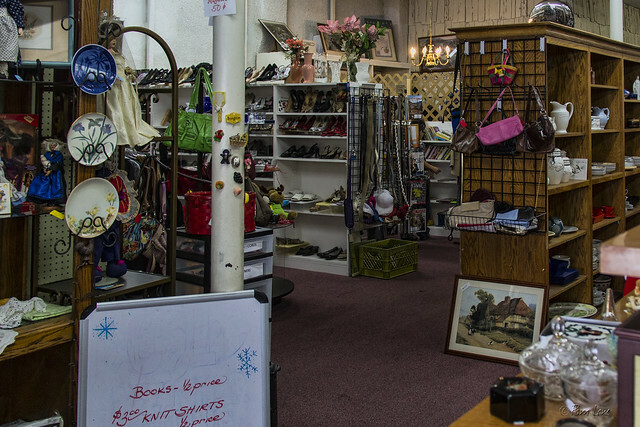 The thrift shop is one of many philanthropic programs that is run by the Assistance League of Downey. This isn't where you would go to shop for used clothing, but pretty much everything else is here. It was fun to browse.